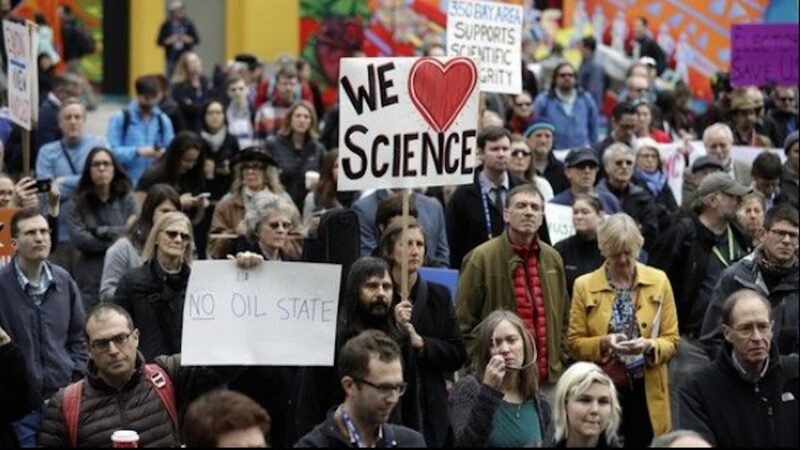 science – Len Bilén's blog, a blog about faith, politics and the environment. The eagle has landed. Dead. Will the Green New Deal kill them all? 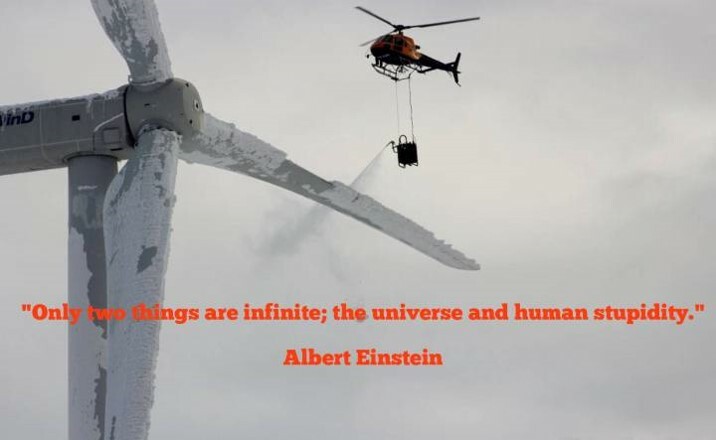 Posted on February 13, 2019 February 13, 2019 Categories climate, energy, Engineering, environment, limerick, pollution, scienceTags bats, Climate change, eagles, Green New Deal, science, sustainability., wind turbinesLeave a comment on The eagle has landed. Dead. Will the Green New Deal kill them all? What makes you a girl or a boy? it’s woman or man, let’s enjoy. Or, as the French say: Vive la différence! But then again, the French have a fully gendered language. Everything has a gender, male or female, nothing transgender. We have come a long way. Bill Nye, the “Science Guy” showed a skit on Netflix that I cannot repost here, it is so gross, essentially claiming that anything goes sexually, and anything is “morally” equivalent. (By objecting to it, I guess it makes me a homophobic, transphobic, xenophobic, omniphobic hater.) Or, maybe I am like the Bill Nye of the 1990’s, here using a girl to explain probability. Genesis 1:27, KJV So God created man in his own image, in the image of God created he him; male and female created he them. This is not hate, it is God-given biological truth. The Pope: Priests to preach global warming. The sin of the world: Unbelief! The Pope has surrendered: Good Grief! But Jesus, our only relief. 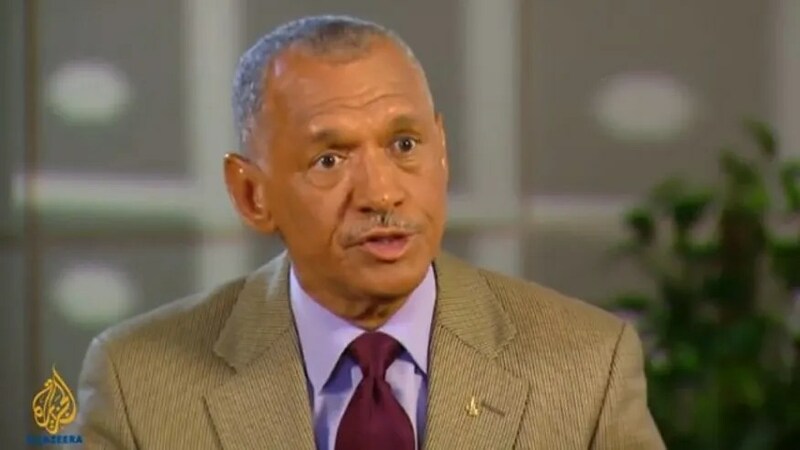 So the Pope has exchanged the Gospel of Jesus Christ, salvation from sins through belief in Him, redemption through His death on the cross and His resurrection, and substituted it with the gospel of global governance to save the world from global warming. The claim is they do it for science when global control is their true aim. The truth is that the promise of God is in the clouds. They act as a near perfect regulator to prevent overheating. We will never exceed the temperatures of the Minoan optimum, but we will go to another ice age. The increase in CO2 will delay the onset of the next ice age by at least 2000 years. God’s promise to Noah is quite profound: ( Genesis 8:21b-22) “Never again will I curse the ground because of humans, even though every inclination of the human heart is evil from childhood. And never again will I destroy all living creatures, as I have done. How are the harvests coming? 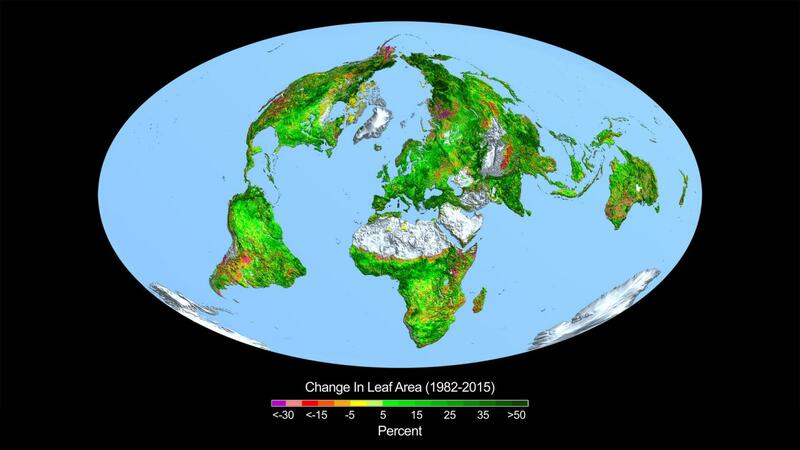 Thanks to increased CO2 the earth is getting greener! 11% without additional fertilizers, benefiting both people and animals. O2 is increased! This means another billion or more will be rescued from starving, the increase is the greatest in developing countries. I doubt this is what the Roman Catholic Priests’ will be preaching from the pulpits. Instead, this is what they will learn: The Vatican’s Pontifical Academy of Sciences is the world’s oldest, longest running scientific mission. That body, which advises the pope on matters of science, has concluded that global climate change is real and is caused, at least in significant part, by human activity. In the western, industrialized world, a drought means bottled water becomes more expensive. In the developing world, a drought means people starve and die. Few things could be further from the truth. The established community of experts agree with frightful consensus that the planet is warming because of human activity. And while nature may play a role in the natural heating of the planet it is known that the Earth’s temperature is dynamic, humans are clearly responsible for much of the present warming. The Earth’s temperatures are spiking faster that at any time in history. The speed of the warming is so great, it is fueling extinctions and other crisis. Natural selection, evolution and adaptation cannot keep up with the pace of rapid change. Climate change is costing lives already, and will continue to cost more lives in the future. Posted on December 10, 2016 December 11, 2016 Categories Christian, climate, CO2, environment, faith, life, limerickTags Climate change, CO2, environment, Global Governance, Limericks, Pope Francis, scienceLeave a comment on The Pope: Priests to preach global warming. Climate change is on balance good! A Limerick and explanation. Man’s fire appeared on the scene. makes it green, grows more food. To call it THE threat, that’s obscene. It was timed for the day after the U.S. election to highlight the necessity of complete adherence to the Paris accord. This accord is one of the accomplishments of the Obama administration, as President Barack Obama said April 22, 2016: “Today is Earth Day — the last one I’ll celebrate as President. Looking back over the past seven years, I’m hopeful that the work we’ve done will allow my daughters and all of our children to inherit a cleaner, healthier, and safer planet. But I know there is still work to do. Can this really be true that implementing the Paris agreement is our only chance to avert this disaster? I still remember well the first Earth Day, April 22, 1970, the 100th anniversary of Lenin’s birth. 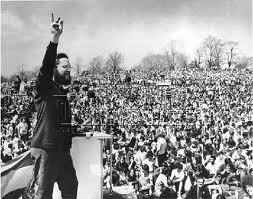 It was in Philadelphia, and Ira Einhorn, later known as the Unicorn killer was master of ceremonies. At that time the great fear was that we are heading for another ice age because of all the acid rain the coal burning electricity plants spewed out, and having just visited Pittsburgh, I totally agreed and was ready to jump in and help. The acid rain was said to wipe out the trouts in the Northern, acidic lakes, and pollution was seen everywhere. Being from Sweden and having just immigrated I was appalled at the lack of concern for the environment, and the imminent threat of the coming ice age. Even Time Magazine jumped into the fray and wrote about the rapid increase of the Arctic Ice cover and other signs of the onset of a new Ice age. 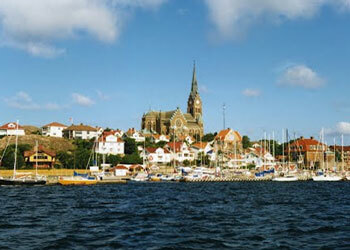 Average temperatures was to be maybe up to seven degrees colder by the year 2000, so prepare! In 1975, the National Academy of Sciences published this graph and warned of dramatic global cooling. 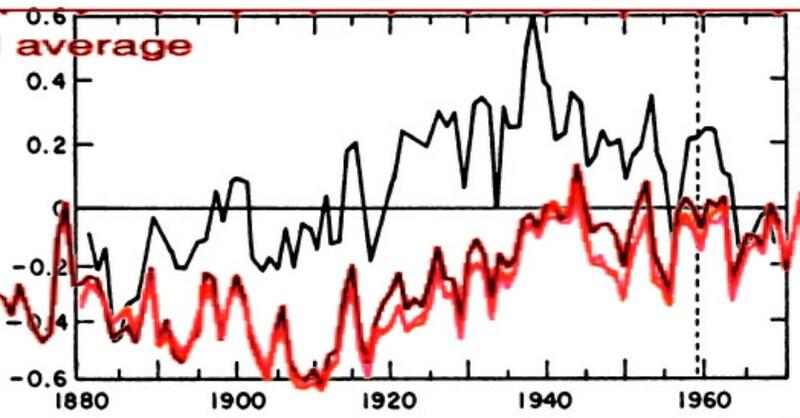 This graph overlays the IPCC graph in red on the 1975 National Academy of Sciences graph at the same scale. The IPCC artist knocked half a degree off most of the 20th century. Notice that the NAS graph is only for the Northern Hemisphere, whereas the IPCC graph is global. Note also that the designer who created the IPCC graph forgot to put in the late 1930s peak. 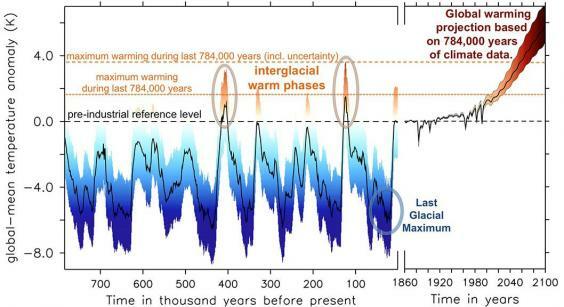 The IPCC in conjunction with NASA and NOAA has completely rewritten Earth’s history. 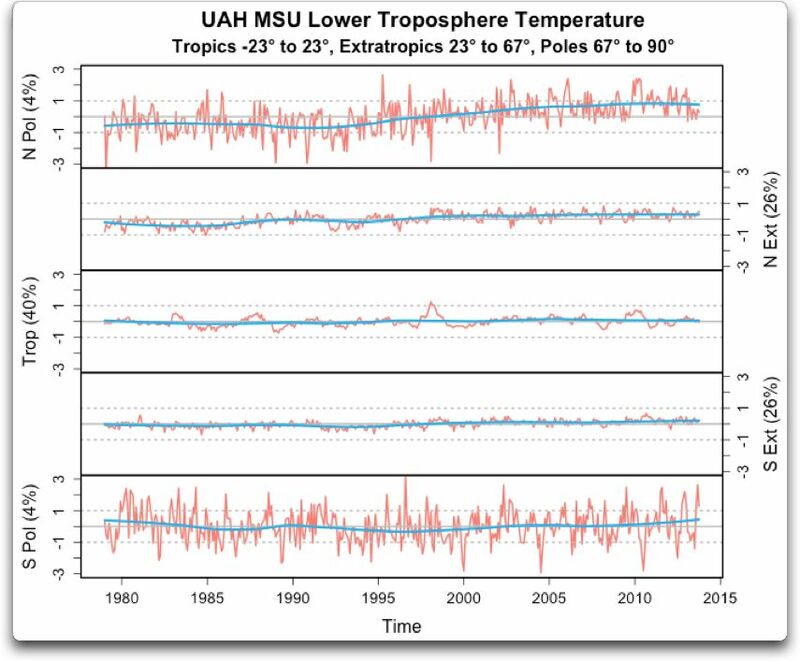 They have made adjustments to make temperature history fit a near perfect alignment with the temperature models versus CO2. It is high time to take a deep breath and a fresh look. Having been raised in Sweden, born in a town on the granite covered shores of Skagerrak there were signs of the last ice age everywhere. Sweden is still recovering from it and is rising out of the ocean at a rate of up to three feet per century and has been doing so since the inland ice began to melt. Of course this contributes to sea levels rising in the rest of the world. The Ice Age left evidence of cataclysmic events as the climate switched from cold to warm. I still remember when as a lad my father took me to a place in Western Sweden, called “Brobacka” where there are around 40 “jattegrytor” (giant kettles), including the biggest giant kettle in the Nordic countries, measuring 59 feet wide. They were formed when large rivers formed under the rapidly melting icepack. We learned in school about ice ages, and that we are at the end of the interglacial period, and we narrowly avoided a new ice age in the 1600’s and are thankful it didn’t happen then. 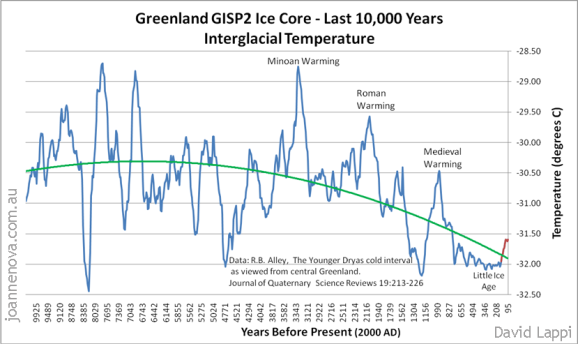 The normal climate for the earth is that we are in an ice age, which is a very stable period, but for some reason an imbalance occurs and the climate switches abruptly to an interglacial period. 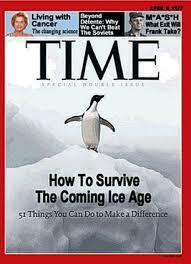 After a few thousand years we go back into an ice age and stay there for around 100000 years and the cycle repeats. The question is, what mechanism is ruling ice ages and interglacial periods? 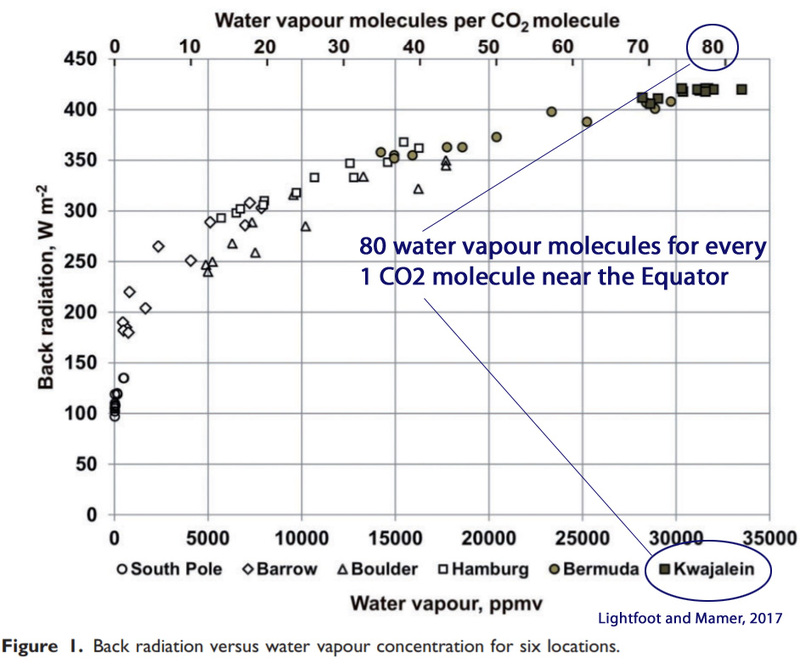 We can see from these charts that CO2 concentrations and temperature follow each other closely, but, and this is important: Air Temperature rises first, then comes the increase in CO2 and finally the rise in ocean temperature. As ice melts and the ocean temperature increases it releases CO2, and this leads to a further temperature rise. But at some time the temperature stops rising while CO2 levels still rise. 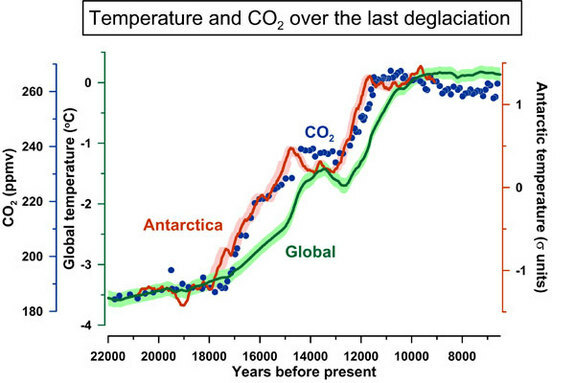 Since about 10000 years ago the temperature has been slowly decreasing and so has the CO2 levels. The Coral reefs make carbonates, the bogs make cellulose, the oceans revert to cooling and start to absorb CO2 again. What is the reason for the cooling? Could it be volcanic eruptions? Maybe, but volcanic eruptions are temporary and does not cool the climate for more than a few years. Meanwhile enjoy the vegetation during this interglacial warm period. 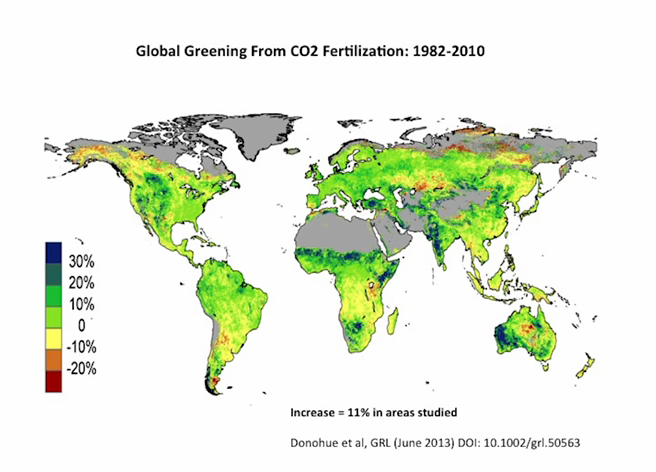 It is true that CO2 is a greenhouse gas, second only to water vapor in importance.It is responsible for about 9 degree Celsius rise in global temperature, and if CO2 increases, so does its greenhouse effect. The increased temperature leads to more water vapor in the air, and water vapor is the strongest greenhouse gas, so there is a risk of reaching a “tipping point” when we could experience a thermal runaway of the planet. All of this is true, so U.N. and many governments around the world have sponsored studies to model climate change, over a hundred models have been constructed, they all come up with rather gloomy forecasts. The research is so intense that over 3 billion dollars of government monies are spent yearly on climate change research. 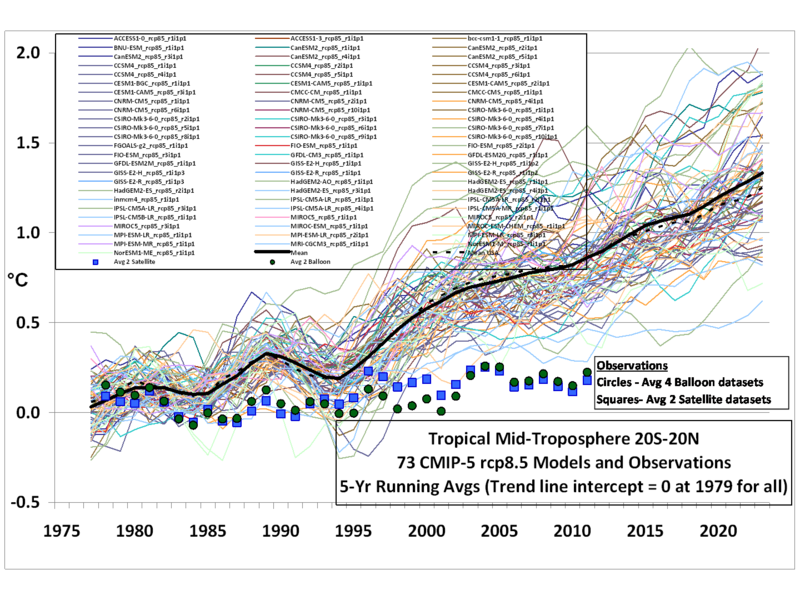 All models show a similar pattern, a fairly steep and more or less linear rise in temperature as CO2 increases. There is only one major thing wrong with them. They do not agree with what is happening to the global temperature. We have now had 224 months (Sep 2015) without any global warming. Since then there has been a rather strong el nino, much like the one in 1998 and global temperatures have been at new record temperatures after adjustment of old temperatures. What is wrong with the models? They all assume a passive earth, where there is no negative feedback to the changing environment. It turns out, the earth has a “governor”, and it can be expressed in one word, albedo, which means “whiteness” or how much of the incoming sunlight that gets reflected back into space. The major albedo changes of the earth are the appearance of clouds. How do the models do on clouds? None of the models agree with reality when it comes to clouds. It also matters what type of clouds there are, and when they occur. Night clouds keep the warm in and increases the greenhouse effect. Daytime clouds reflects the incoming sunlight and the result is a net cooing effect. Other albedo changers are the amount of ice around the poles, but even land use changes such as forests cut down and replaced by agriculture and urbanization. The most important albedo changers of the earth are clouds. Without them no land based life would be possible since clouds serve both as rain makers and temperature stabilizers. If there were no clouds the equilibrium temperature at the equator would be around 140 degrees F.
Over the oceans, in the so called “doldrums” where there are no trade winds, the mornings start with a warm-up, and when the conditions are right a shower or thunderstorm occurs. The ambient temperature is usually between 84 and 88 degrees when this happens. As CO2 concentrations increase thunderstorms occur a few minutes earlier and last a little bit longer, but they are no more severe and as a result the average temperature stays the same. See the following chart. It is divided into five regions, Arctic, North temperate, tropical, South temperate and Antarctic. The next region is the North temperate. This includes the desert areas. In desert areas of the world this temperature regulator doesn’t work well, so deserts will receive the full force of temperature increase which is 1.6 degrees Fahrenheit per doubling of CO2 levels. In the temperate region the temperature increase will be somewhere in between. Dry days will be warmer, cloudy and rainy days will have the same temperature as before, since the cloud regulator starts to function. The Arctic and Antarctic regions are a special case. None of the models have done a good job at modeling the clouds at the poles, especially the South Pole. (See the cloud chart above.) The Arctic will warm up more than 2 degrees F, how much is a question. In the South average temperatures will rise from – 70 degrees F in the interior all the way to maybe – 63 degrees F, and come closer to freezing in the summer at the northern edges. There may be added snowfall that will expand the ice sheet. The Antarctic ice sheet has set new records since record keeping began, and war 2 years ago bottoming out at 30% more ice than the 30 year average. Recently even the Antarctic ice sheet been receding. The North Pole region is even more complicated since it is partially land, partially ocean. The oceanic ice cap has been shrinking at a fairly constant rate the last 30 years, but since 2012 it broke the trend and grew back to break the trend line. The winter snow cap has remained at about the same level year to year with a slightly positive trend line, this year being no exception. So, why is the snow cover growing slightly, but ice cover shrinking? The common explanation has been global warming, but the ice cover kept shrinking even as the temperature increase leveled off. 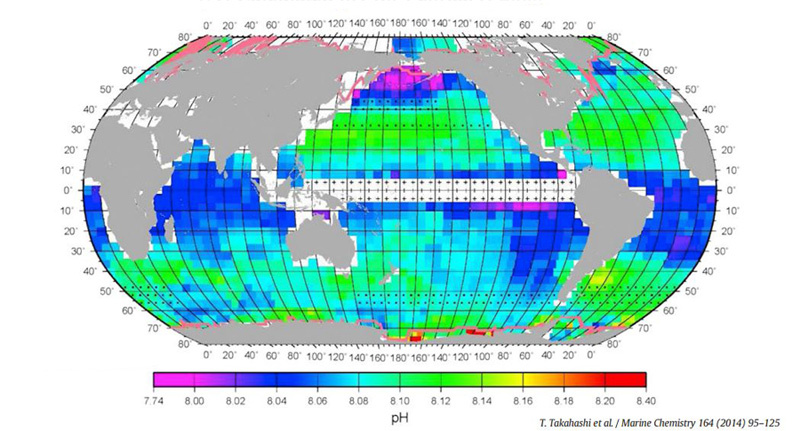 There are two possible explanations: Warming oceans and changes in pollution. The North Atlantic Oscillation has been mostly positive (warmer) since 1970 and has only recently turned negative, so that is certainly part of the cause of the shrinking of the icecap, but another candidate is even more likely: Carbon Pollution. With that I do not mean CO2, but good old soot, spewing out from the smokestacks of power plants in China. 45% of all coal burned is burned in China, often low grade lignite with no scrubbers. The air in Beijing is toxic to humans more days than not. Some of that soot finds its way to the arctic and settles on the ice, changing its albedo, and the sun has a chance to melt the ice more efficiently. This occurs mostly in the months of August and September when the Sun is at a low angle anyway, so the changing of the albedo has very little effect on temperature. The net result of all this is that the temperature in the North Pole region will rise about 4 degrees Fahrenheit for a doubling of the CO2. 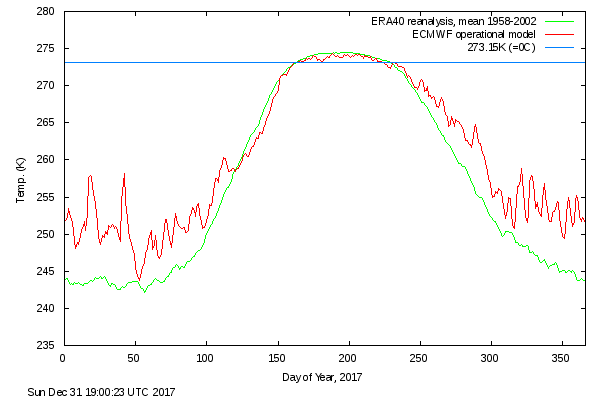 This will have a very minor effect on the Greenland ice cap since they are nearly always way below freezing anyway (-28 degree C average). The largest effect will happen in August and September in the years when all new snow has melted and the soot from years past is exposed. This happened two years ago with a sudden drop in albedo for the Greenland ice. It will also lead to an increase in the precipitation in the form of snow, so the net result is the glaciers may start growing again if the amount of soot can be reduced. An interesting fact is that the sunlight reflection is larger over water than over ice in August and September in the Arctic, co melting the Arctic ice reduces the greenhouse effect. 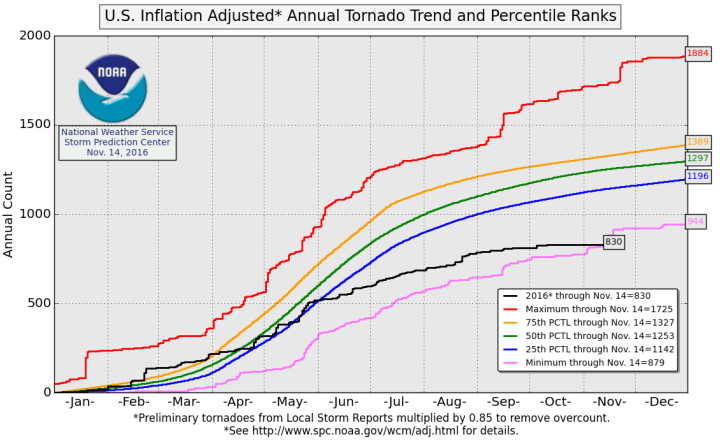 The conclusion is: The temperature regulator of the earth is working quite well, and the increase in temperature at the poles is welcome as it lessens the temperature gradient between the tropics and the polar regions, which in turn reduces the severity of storms, and tornadoes, since they are mostly generated by temperature differences and the different density of warm, humid and dry, cold air. I welcome constructive comments. Tell me where I am going wrong. I have done my very best to look at what is really happening to the earth and from there draw conclusions, rather than rely on climate models. Posted on November 22, 2016 Categories climate, CO2, environment, limerick, pollution, science, waterTags Antarctica, Anthropocene, Climate change, CO2, environment, Limericks, scienceLeave a comment on Climate change is on balance good! A Limerick and explanation.